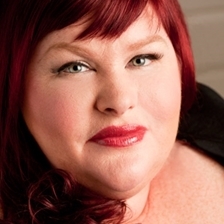 Shadowhunters, do you have any burning questions for Cassandra Clare? Well, here’s your chance to get them answered! Cassie will be taking over the Maximum Pop Twitter at 5 p.m. (GMT) today answering your questions. Submit your questions to #CassieClareMaxPop! Be sure to get your questions in! Are Izzy and Clary going to be parabati? HELP A FELLOW SHADOWHUNTER!! PLEASE!! Still love all the books and cant wait till 27th! !